Versailles is one of the few sights we've experienced — anywhere in the world — that is worth braving the crowds. That said, there are crowds. A lot of crowds. Here are our top tips for making the most of your trip of Versailles. Purchase your tickets from the official website — the ticket holders' line is much faster than the hour-long queue for those buying tickets in-person. A Paris Museum Pass will grant you access, but you will need an additional garden ticket on Tuesdays, Saturdays, Sundays and holidays in the high season. While the train only takes 30-40 minutes, trying to squeeze all of Versailles into a half-day will feel rushed, and you'll miss some of the best parts. The chateau alone covers 11 hectares, and the grounds are over 800 hectares. Louis XIV spared no expense, so do yourself a favor and give yourself enough time to enjoy it properly. This is a rule-of-thumb — Versailles in closed on Mondays, Wednesdays are popular for school visits, and weekends are popular for everyone else. Arrive early to enter when the palace opens at 9AM, or arrive after 3PM when the crowds have dissipated. If you choose a late afternoon visit, you may want to attend one of Versailles' evening shows or an opera. 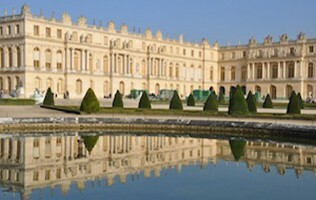 Keep in mind that "Versailles" is not one building and includes the main palace, the Trianon complex and the gardens. Most visitors will visit in that order. Consider working backwards — gardens, Trianon complex and the main palace — to avoid the crowds. Keep in mind that each attraction at Versailles opens at different times; for example, the Trianon complex opens at noon. The official Versailles website has an excellent calendar that allows you to see low, normal and high attendance days.